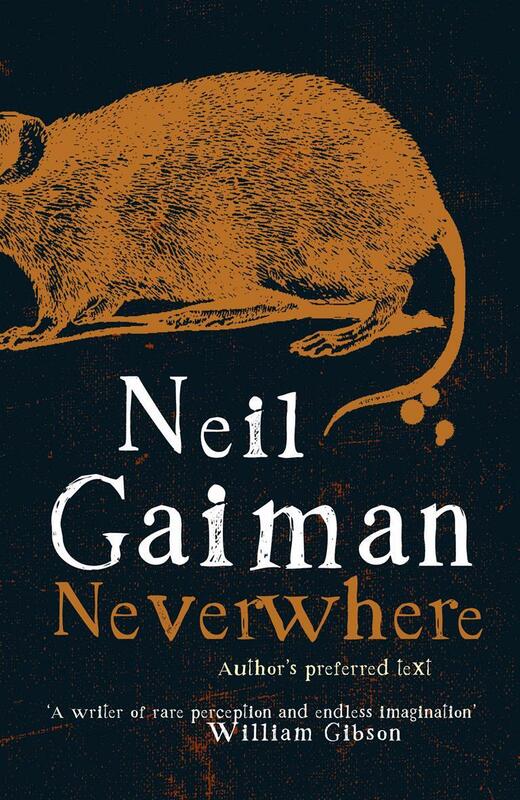 I am Currently reading Neverwhere by Neil Gaiman. It concerns a young businessman named Richard Mayhew who finds himself caterpaulted into a bizarre netherworld below London, after helping a seriously injured young orphan girl named Door evade two infamous and seemingly inhuman assassins, named Croup and Vandemar. Richard journeys through the mysterious world of London Below where he encounters the Rat-Speakers, who worship Rats and then travels across the mysterious Night’s Bridge, with his Rat-Speaker friend and guide, Anaesthesia before arriving at the Floating Market, a giant bazaar where people barter for all manner of magical items. He is reunited with Door at the Floating Market, and They are joined by The legendary bodyguard and fighter “Hunter”. Door, the Marquis, Hunter and Richard then set off on a perilous quest through London Below to find the Angel Islington (who is the protector of London Below) the company also retrieves a unique key from the Black Friars. The two return to Hunter at the Museum. Meanwhile the Marquis seeks out Croup and Vandemar, exchanging a priceless Tang dynasty figurine for information regarding the murder of Door’s family. However Croup and Vandemar betray and kill the Marquis. Upon meeting the Black Friars, Door, Richard and Hunter are faced with three ordeals. They gain the key and return to the Floating Market, where Hammersmith, a blacksmith friend of Door’s secretly forges a copy of the key. Door, Richard and Hunter then meet the mysterious Lamia, one of the vampire-like Velvets who promises to guide them to the angel’s residence but may not be entierly trustworthy.